Loss functions are a key part of any machine learning model: they define an objective against which the performance of your model is measured, and the setting of weight parameters learned by the model is determined by minimizing a chosen loss function. There are several different common loss functions to choose from: the cross-entropy loss, the mean-squared error, the huber loss, and the hinge loss - just to name a few. 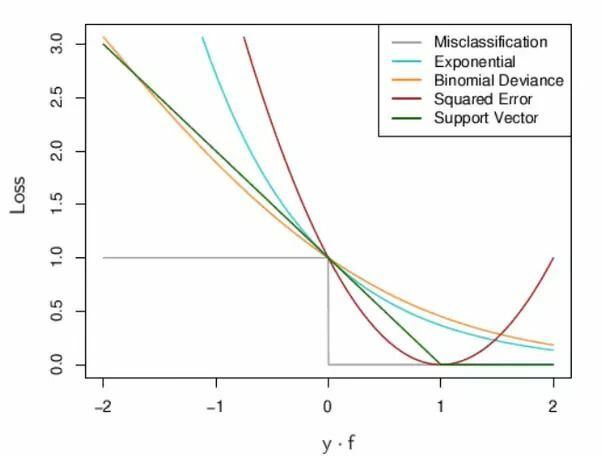 Given a particular model, each loss function has particular properties that make it interesting - for example, the (L2-regularized) hinge loss comes with the maximum-margin property, and the mean-squared error when used in conjunction with linear regression comes with convexity guarantees. In this post, I’ll discuss three common loss functions: the mean-squared (MSE) loss, cross-entropy loss, and the hinge loss. These are the most commonly used functions I’ve seen used in traditional machine learning and deep learning models, so I thought it would be a good idea to figure out the underlying theory behind each one, and when to prefer one over the others. It turns out we can derive the mean-squared loss by considering a typical linear regression problem. And to solidify our assumption, we’ll say that is Gaussian noise with 0 mean and unit variance, that is . This means that and ,1 so is also Gaussian with mean and variance 1. Essentially, this means that using the MSE loss makes sense if the assumption that your outputs are a real-valued function of your inputs, with a certain amount of irreducible Gaussian noise, with constant mean and variance. If these assumptions don’t hold true (such as in the context of classification), the MSE loss may not be the best bet. 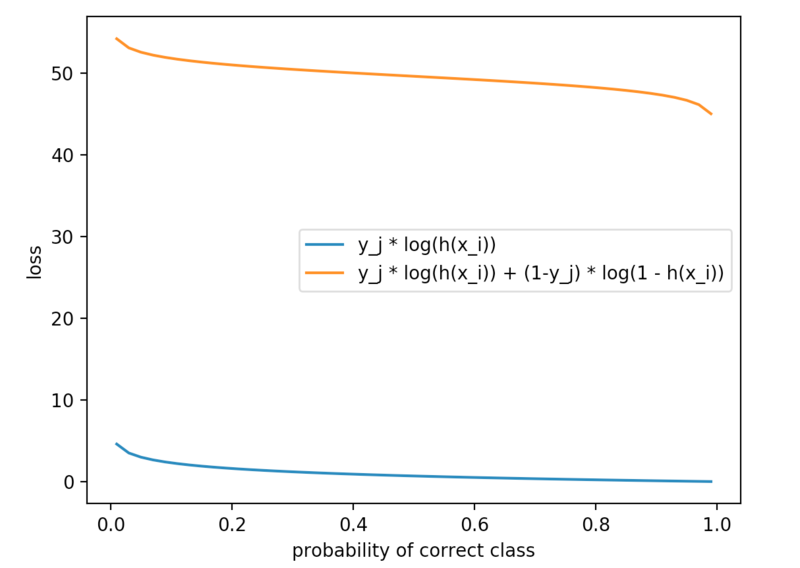 In particular, in the inner sum, only one term will be non-zero, and that term will be the of the (normalized) probability assigned to the correct class. Intuitively, this makes sense because is increasing on the interval so is decreasing on that interval. For example, if we have a score of 0.8 for the correct label, our loss will be 0.09, if we have a score of .08 our loss would be 1.09. The second term in the inner sum essentially inverts our labels and score assignments: it gives the other predicted classes a probability of , and penalizes them by the of that amount (here, denotes the th score, which is the th element of ). This again makes sense - penalizing the incorrect classes in this way will encourage the values (where each is a probability assigned to an incorrect class) to be large, which will in turn encourage to be low. This alternative version seems to tie in more closely to the binary cross entropy that we obtained from the maximum likelihood estimate, but the first version appears to be more commonly used both in practice and in teaching. As mentioned in the CS 231n lectures, the cross-entropy loss can be interpreted via information theory. 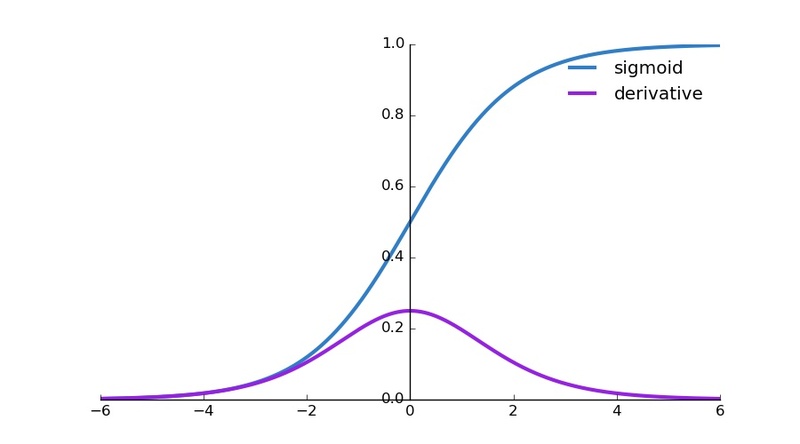 In information theory, the Kullback-Leibler (KL) divergence measures how “different” two probability distributions are. We can think of our classification problem as having 2 different probability distributions: first, the distribution for our actual labels, where all the probability mass is concentrated on the correct label, and there is no probability mass on the rest, and second, the distribution which we are learning, where the concentrations of probability mass are given by the outputs of the running our raw scores through a softmax function. In an ideal world, our learned distribution would match the actual distribution, with 100% probability being assigned to the correct label. This can’t really happen since that would mean our raw scores would have to be and for our correct and incorrect classes respectively, and, more practically, constraints we impose on our model (i.e. 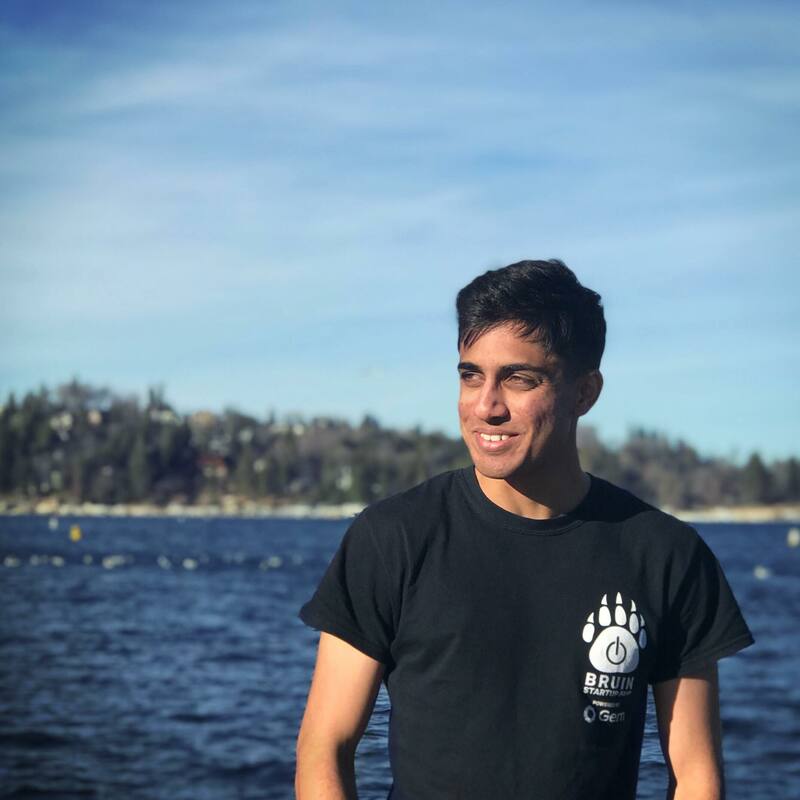 using logistic regression instead of a deep neural net) will limit our ability to correctly classify every example with high probability on the correct label. Interpreting the cross-entropy loss as minimizing the KL divergence between 2 distributions is interesting if we consider how we can extend cross-entropy to different scenarios. For example, a lot of datasets are only partially labelled or have noisy (i.e. occasionally incorrect) labels. If we could probabilistically assign labels to the unlabelled portion of a dataset, or interpret the incorrect labels as being sampled from a probabalistic noise distribution, we can still apply the idea of minimizing the KL-divergence, although our ground-truth distribution will no longer concentrate all the probability mass over a single label. (Note that the gradient terms should all be computed before applying the updates). Essentially, the gradient descent algorithm computes partial derivatives for all the parameters in our network, and updates the parameters by decrementing the parameters by their respective partial derivatives, times a constant known as the learning rate, taking a step towards a local minimum. This means that the “speed” of learning is dictated by two things: the learning rate and the size of the partial derivative. The learning rate is a hyperparameter that we must tune, so we’ll focus on the size of the partial derivatives for now. Consider the following binary classification scenario: we have an input feature vector , a label , and a prediction . We’ll show that given our model , learning can occur much faster during the beginning phases of training if we used the cross-entropy loss instead of the MSE loss. And we want this to happen, since at the beginning of training, our model is performing poorly due to the weights being randomly initialized. This can lead to slower learning at the beginning stages of gradient descent, since the smaller derivatives change each weight by only a small amount, and gradient descent takes a while to get out of this loop and make larger updates towards a minima.